ESI is committed not only to the safety of our workers but also to environmental safety. We specialize in hazardous waste management and offer the best in secondary containment solutions for petroleum-based products and other toxic substances. 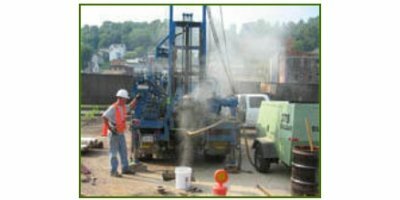 ESI also assists in the cleanup and reclamation of Superfund sites throughout the United States. By Environmental Specialties International, Inc. (ESI) based in Baton Rouge, LOUISIANA (USA). By Environmental Engineering Consultants (EEC) based in Tampa, FLORIDA (USA). By Envirobiz Group Inc. based in San Diego, CALIFORNIA (USA). By Project Navigator, Ltd. (PNL) based in Brea, CALIFORNIA (USA). By VIVA Environmental, Inc. based in El Paso, TEXAS (USA). ESS specializes in strategic regulatory consulting for projects challenged by a variety of technical issues and complex environmental permitting requirements. Projects can often trigger multiple filings with local, state, and federal agencies in more than one geographic jurisdiction and within several environmental disciplines. By Risk-Based Decisions, Inc. based in Sacramento, CALIFORNIA (USA). By Horizon Environmental Services, Inc. based in Austin, TEXAS (USA). We provide Geoprobe services, Drilling and/or monitoring well installation, or A combination of both. EnviroProbe guarantees competitive costs, quality workmanship, and no surprises. We have complete insurance coverage including pollution liability. By EnviroProbe Integrated Solutions, Inc. based in Nitro, WEST VIRGINIA (USA).